To swing back to literal fungus, the intertwining of life and death has long been a mark of fungoid existence, with the death and darkness of forests being populated by fungus which thrives in the hollow remnants of more majestic vegetative growth. In this sense, fungus is representation of death and not another form of life. The fungal marks the unnerving transitive nature of somaticism — the food of the dead and the fruiting bodies. Thinking with fungus is a way of thinking through the existence of nonhumans that are so radically “not for us” that we have difficulty even coming to terms with how they exist in the world. Heidegger’s hammer is a famous and accessible example of a nonhuman actor because we understand it as something that springs forth from the human (we made it, after all). It is a child, in some sense, and just like Latour’s Aramis, there’s a deep desire to explain the artifact in its political network of action. The hammer enables us to understand how things experience existence because we understand the hammer. We can analyze the way that a train system fails to come into being; it is comforting in being explicable. Shitake mushrooms emit water vapor, which cools the air around them, changing the weather and causing wind storms that spread their spores. These mushrooms are literally changing the conditions of reality around themselves in order to procreate. This faculty has largely been reserved for humans — we, the tool-bearing rats, bend and wreck what can live and die and exist in order to make the world safe for our futures. 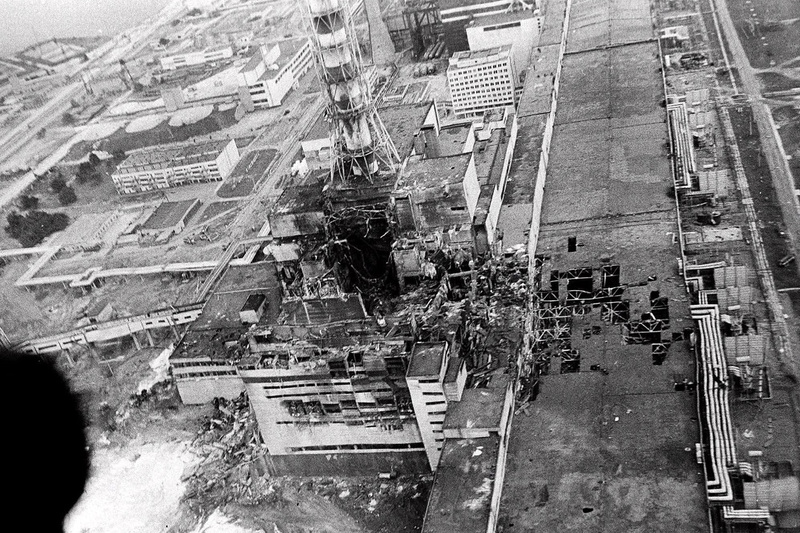 Fungus in the core room at Chernobyl lives off of radiation. It feeds on the very forces that would shoot through my DNA, knocking it apart. Our species has created the conditions for other, more adaptable species to change and thrive in a world that we’re slowly, but surely, making uninhabitable for us. As a species, we’re doing an awfully good job at lowering the carrying capacity of the planet for humans. Life after humans does not look like a human. The thought experiment often goes “what will a future archaeologist find and what will she know about us?” I imagine the opposite — a wasteland, covered by splotches of green and brown and red, under a weak sky, bombarded by life-giving solar radiation. This entry was posted in Nonhuman Life, Theory and tagged ben woodard, fungus, slime dynamics, thinking with fungus. Bookmark the permalink.